David Archuleta: “You Can” “Crush” the “Barriers”! Thursday night, July 16, I saw David Archuleta opening for Demi Lovato at the Arco Arena in Sacramento. It was a Disney crowd, parents with small children and teenagers. They already knew Demi well because she is on television. It’s the Power of Television. The term ‘Disney Machine’ refers to the engines of a powerful media and entertainment corporation. This Machine can manufacture stars overnight. It’s hard to quibble with success, and yet I do. What about the music? What happens to music when the most important decisions are made by corporations? The music business has a history of heavy-handed, even unscrupulous, record companies, but somehow they managed to produce good music. Elvis and the Beatles were international sensations, and yet they were able to make music that we still enjoy today. What of music today? Disney, MTV, and other corporations are generating a wall of one sound. It’s loud. 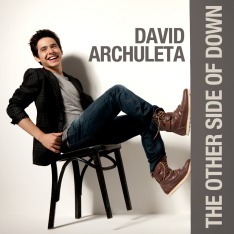 There is no need to compare David Archuleta to the other young performers at this show. Music is part machine, part human. Corporations and their overnight mega–stars can easily create the machine: the mechanics of pitch, rhythm, tempo. But it’s the human being that provides dynamics—variation and contrast in force or intensity—and articulation. Without these, it is merely sound, not music. What I heard at the Arco was mostly a frenzy of rhythmic excitement. The stagehands prepared for David’s appearance behind a gauzy white curtain. The audience made restless noises in anticipation, soon followed by shouts and screams when we caught the first sight of David in silhouette behind the curtain. It was very dramatic. David certainly knows how to make an entrance! Then, there was a quick little hand wave from ‘the silhouette’ and the crowd went wild. David sure knows how to tease! And the music began. Eleven songs! During his solo tour last spring, he sang 16 songs when I saw him in Reno. So, for an opening act, 11 is a fair number. Of course, it was over far too soon. David was gone by 8:15. My sister and I sat next to a 15-year-old Demi fan accompanied by her dad. She was very sweet and smart. She said her bedroom walls are covered with her Idol. She had heard David too and appreciated his “smooth” voice. Once I happened to see her face while David was singing: eyes popping out and mouth dropped in an O shape. I smiled inside because I felt I was witnessing a new DJA fan. The general audience reaction was thunderous—sustained applause, feet stomping, and of course, screams. I almost cried when he was singing “Don’t Let Go”. He was really feeling that song; it was pure, powerful emotion, probably the best version I have heard. During “Zero Gravity” David invited everyone to dance with him. It was fun! Whenever he seemed to be looking in my direction, I stood up waving with both hands in the air. I’m usually more subdued, but I wanted David to see his fans supporting him. It means a lot to a performer on stage. David looked great! Where, oh where, can I get one of those Elvis t–shirts? Seriously, if anyone knows! It was pale blue with a huge graphic of Elvis and what looked like a lightning bolt—which I now know is the sparks created by the hand of Elvis reaching out to touch a fan’s hand. (Now what does that remind me of? Oh, yes, “Touch My Hand.”) On the back of the tee, something, a logo?, was on the left shoulder area. Gorgeous! David wore dark jeans, a grey scarf and the customary sneakers. At the barricades, we met Dave, the bass guitarist, who was so sweet to wait while I rummaged in my bag for the CD which he signed with the bass clef symbol. Later, Kendra appeared and we pleaded with her to walk over. She did! She was late because she had been helping Demi with her last costume change and told us she needed sleep. Kendra signed my CD, the only signature I did not get in Reno. (It doesn’t matter to me that she and Dave are not on the CD.) I gave her a DA Honeybee pin. She said, “I didn’t know the honeybee is the State Insect and I’m from Utah.” So, I’m spreading the BUZZ even for Utahns! haha! I had been giving the pins to many fans. At one point I felt something tugging at my shirt and looked down to find a tiny girl quietly saying, “Could I have a pin too?” She was a little doll. I laughed and told her she would be the youngest person to visit my blog! As she promptly put the pin on her shirt, I explained that the Honeybee is giving the thumbs-up sign the way David likes to do. Who knows? Thirty years from now this little girl may still be wearing the DA Honeybee pin to a David Archuleta concert! Oh, a final note. I don’t have to tell you that it was 100 plus F. in Sacramento. You already know how hot it was because David was in town. Hi Minja, your image of the mechanical horn that blares out ‘talent’ is poignantly true. Propped-up ‘noise’ shatters the polished stones that lie beneath the surface of elevated sound. An evening spent tolerating pitched volumes can be a challenge as we long to hear the resounding beat of the human heart. So if we must tolerate the other, we do so graciously, knowing the real thing comes in the end. And, once again, all is right with the world. As good can conquer even the most intolerable, it can also transform the most hideous into a beauty, as told in the story, Beauty and the Beast. Honeybees love to listen to David buzz for the hive. Yea! thanks for telling us the reaction of the teenager on seeing David. That is always my favorite part on these concert write – ups. People discovering the magic of David for the very first time. I’m curious though, did you notice the father’s reaction too? Your words are so true. David is so far above the machinery of music and entertainment industry. I hope one day he’ll get the artistic freedom to show the world what music should really be like, and what he’s got in him. hey, Lyrix. Thanks for your comments. Funny, I did not see the dad’s expression because my eyes wanted to turn back to the stage as quickly as possible. You know that feeling — it is hard to take our eyes off David! Minja…I was in Sacramento too and I must say I appreciate that you touched upon how organic David’s music is and his connection to the songs. People seem to believe that David’s simple set and lack of in-between-songs banter is due to him being an opening act. I believe otherwise. David means business and is all business up there and that business is his voice and his music. And thank goodness for Disney’s lack of investment in David’s part of the concert as what we all need from David is just himself and his remarkable talent.